Our customers tell us they enjoy the room service at Golden Tulip Barcelona. 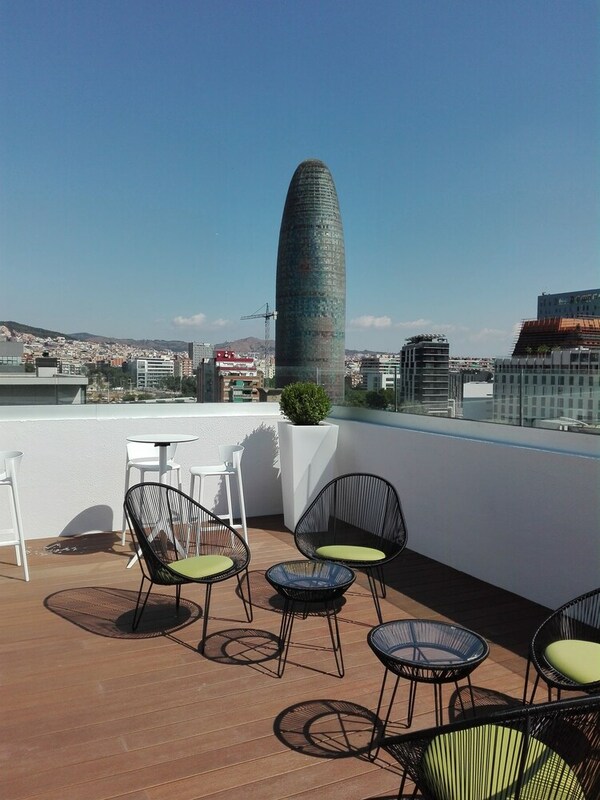 During your stay, you're just a quick walk from Torre Agbar. Enjoy features like free WiFi in public areas, plus an outdoor pool and a restaurant. This 4-star hotel has 158 rooms. Each room includes amenities such as free WiFi and a flat-screen TV. There's a restaurant on site. You can enjoy a drink at one of the bars, which include A poolside bar and A bar/lounge. Public spaces have free WiFi. An outdoor pool, a rooftop terrace, and 24-hour room service are also featured at the business-friendly Golden Tulip Barcelona. Parking is available for a fee. Golden Tulip Barcelona offers 158 forms of air-conditioned accommodation with minibars and a hairdryer. Flat-screen televisions come with cable channels. Bathrooms include a shower and complimentary toiletries. Guests can surf the web using complimentary wireless Internet access. Housekeeping is provided on a daily basis. On-site venue – This restaurant specialises in Mediterranean cuisine and serves breakfast and dinner. Cribs (infant beds) are available for EUR 6.5 per day.